The Book of Mormon Historic Publication Site in Palmyra, New York, is the place where the first copies of the Book of Mormon were printed and bound in 1829 and 1830. It is also known as the Grandin Building, after Egbert B. Grandin, who owned and operated a printshop in the building. In the last episode on Mormonism I talked about the introduction to the Book of Mormon through the end of 1st Nephi and covered some of the many errors found there. In this episode I will start with 2 Nephi and see how far I can get without making this episode too long. In its origins, the LDS church was very much an American church and it shows in how The Book of Mormon was written. All through the supposed most correct book on earth we find examples of American exceptionalism such as 2nd Nephi 1:5 that talks about America being choice above all lands, which should not be surprising considering Joseph Smith, the author of The Book of Mormon taught that the Garden if Edon was in Jackson County, Missouri and that Zion would be there eventually. However, as the church has grown they have stepped back their praise of America in attempts at becoming more of a world church, and today the church has many more members outside of the United States than they have within. Early on in the book of 2nd Nephi it says that only those who God had chosen were allowed to come to America, and it alludes to Christopher Columbus and that the reason he was allowed to discover America was because the Native Americans, believed to be the descendants of father Abraham, sinned. The LDS Church has had a difficult time with all of the verses in the Book of Mormon that sound racist, such as this one and the verses where people turn dark because of sin and their skin lightens when they repent. If those verses were to be believed literally than people would be led to believe you could judge a person’s righteousness based solely on his or her skin color, and that is definitely not the case, not even close. It is apparent from reading The Book of Mormon compared to the other writings of Joseph Smith that his doctrine evolved as he grew in influence and power. Joseph Smith taught later that in order to be saved and go to heaven and be with God we have to earn our way through works and ordinances, but that is not what The Book of Mormon says at all. Wherefore, I know that thou art redeemed, because of the righteousness of thy Redeemer; for thou hast beheld that in the fulness of time he cometh to bring salvation unto men. Behold, he offereth himself a sacrifice for sin, to answer the ends of the law, unto all those who have a broken heart and a contrite spirit; and unto none else can the ends of the law be answered. (2 Nephi 2:3-7). A few verses later (11-16) the book suggests that God created evil so that we could have a choice between good and evil. However, God did not create evil as God is all good and evil is simply the absence of good. Verse 17 agrees with the Bible that the devil was an angel of light and fell, which differs from later LDS doctrine that teaches that the devil is the brother of Jesus. teaches that it was part of God’s original plan for Adam and Eve to sin and get thrown out of the garden and says that men fell that they might have joy. Also mentioned in greater detail in later LDS scriptures. Verses 22-25 of 2nd Nephi suggests that the fall of Adam and Eve was part of the plan and that God meant for them to fall, despite commanding them not to eat the fruit of the forbidden tree. And now, behold, if Adam had not transgressed he would not have fallen, but he would have remained in the garden of Eden. And all things which were created must have remained in the same state in which they were after they were created; and they must have remained forever, and had no end. And they would have had no children; wherefore they would have remained in a state of innocence, having no joy, for they knew no misery; doing no good, for they knew no sin. But behold, all things have been done in the wisdom of him who knoweth all things. Adam fell that men might be; and men are, that they might have joy, (2 Nephi 2:22-25). There is no Biblical justification for the claim that Adam and Eve were meant to fall. The reason there was one tree they were not allowed to eat from was to give them the choice to follow God, otherwise they would have only been following God because there was no other choice. If a person stayed with you when you were both trapped on an island you would not know if he or she stayed with you out of love or simply because there was no one else to choose and no way to get away from you. God wants us to choose him, not to be forced to choose him. God slanted things heavily in favor of Adam and Eve doing What was right, and in fact, there was only one wrong choice they could make. The reason eating of the tree was a sin was not because the type of tree it was; eating of the tree was a sin because it was choosing to rebel against God. The choice was clear and there were only two choices, God and not God. The third chapter of 2 Nephi has a large section (verses 7-15) devoted to prophesying and praising Joseph Smith, and many people in the LDS Church feel that this is a divine revelation that Joseph Smith fulfilled, but I, and most people outside of the church, view it as Joseph Smith praising himself in his own created book to appear more important to his followers. A large section of a book that Joseph Smith supposedly translated being about him, and in such a manner of praise, does not prove that he was a prophet, just that he thought extremely highly of himself and had an ego the size of Alaska. Later in his life, Joseph Smith even came up with an “inspired translation of the Bible” and wrote himself into it as well. Of course, the Smith translation of the Bible was no translation at all as he read the English King James version and then changed it to suit himself. A translation would be if he had the original Greek and Hebrew and translated it into English, but that is not even close to what happened. English to English is not a translation but rather a rewriting. In verse 24 of the 3rd chapter of 2 Nephi Joseph again lays the self-praise on thick, “And there shall rise up one mighty among them, who shall do much good, both in word and in deed, being an instrument in the hands of God, with exceeding faith, to work mighty wonders, and do that thing which is great in the sight of God, unto the bringing to pass much restoration unto the house of Israel, and unto the seed of thy brethren.” Joseph Smith was extremely proud of himself and did everything he could to elevate the way others viewed him as well. I have covered it in other episodes, but I think it is worth mentioning again that The Book of Mormon tries to use an out of context Bible verse to support the divinity of The Book of Mormon. However, if you were to ask any Bible scholar or Jewish scholar they would refute the LDS claim that Ezekiel 37 predicts the coming of The Book of Mormon, or anything else related to Mormonism, and in fact, the prophecy in Ezekiel 37 has nothing to do with another set of scriptures. A large section of the 4th chapter of 2nd Nephi is devoted to Lehi blessing his children, and in the case of his sons Laman and Lamuel, he told them that they would be cursed with a skin of darkness for their sins but that their descendants would not be completely destroyed, and of course, become the indigenous people that the Europeans discovered when they arrived. It is important to note that 2 Nephi 4:32 speaks of the gates of hell, which is more in line with traditional Christian theology than that of Mormonism as Mormons teach that almost everyone will go to some degree of glory when they die except for the devils and those who know the LDS Church is true and still rebel against it. In 2 Nephi 5:10, and elsewhere in the Book of Mormon, it states that the people kept the law of Moses, but there is no evidence in this book or any of the books in The Book of Mormon that they kept the law of Moses. While there is mention of sacrifices, they were not in Jerusalem and therefore not acceptable as any Jew will tell you only sacrifices offered at the temple mount in Jerusalem are acceptable. There are also multitudes of rituals and feasts that are not mentioned in The Book of Mormon. There is no mention of Passover, peace offerings, ritual cleansing, sabbath observance, etc. I find it difficult to believe that a people who were culturally, ethnically and spiritually Semitic would fail to write about events that are so important to them and so ingrained in their culture society and religion. When we get to verse 5 there is an anachronism because it mentions the use of steel, and not only is there multitudes of evidence that the people of the Americas never used steel before the European colonization, steel was not even invented until many years after this supposedly took place. Solomon’s Temple was nothing like LDS temples in either design or purpose, so the temples are not a restoration of ancient temples. In the 5th chapter it talks of how great an abundance of ore and precious metals and gems they had, then how Nephi could not build the temple as nicely as the temple of Solomon as the precious things could not be found. “And I did teach my people to build buildings, and to work in all manner of wood, and of iron, and of copper, and of brass, and of steel, and of gold, and of silver, and of precious ores, which were in great abundance. And I, Nephi, did build a temple; and I did construct it after the manner of the temple of Solomon save it were not built of so many precious things; for they were not to be found upon the land, wherefore, it could not be built like unto Solomon’s temple. But the manner of the construction was like unto the temple of Solomon; and the workmanship thereof was exceedingly fine,” (2 Nephi 5:15-16). The Book of Mormon also talks about the wicked brothers of Nephi and how they were cursed with dark skin and they became a wicked, savage and lazy people. Keep in mind, these people are believed, by the Mormons, to be the principle ancestors of the American Indians, and it does not paint a flattering picture of the American Indians. “And he had caused the cursing to come upon them, yea, even a sore cursing, because of their iniquity. For behold, they had hardened their hearts against him, that they had become like unto a flint; wherefore, as they were white, and exceedingly fair and delightsome, that they might not be enticing unto my people the Lord God did cause a skin of blackness to come upon them. And thus saith the Lord God: I will cause that they shall be loathsome unto thy people, save they shall repent of their iniquities. And cursed shall be the seed of him that mixeth with their seed; for they shall be cursed even with the same cursing. And the Lord spake it, and it was done. And because of their cursing which was upon them they did become an idle people, full of mischief and subtlety, and did seek in the wilderness for beasts of prey,” (2 Nephi 5:21-24). In verse 26 it says that Nephi’s brothers Jacob and Joseph were made priests over the people, but there is a problem with that, especially since the book claims that they followed the law of Moses; these people are self-proclaimed descendants of Joseph, but the priesthood given in the law of Moses did not come through the line of Joseph but from the line of Levi, and only through the line of Levi. There were no exceptions to this rule. A lot of the complaints I have about chapter six and throughout the rest of 2nd Nephi are repeated issues, so for the sake of time I will skip over errors if it is an error that I have already mentioned, and there are a lot of those in this variety. A lot of 2 Nephi 6, and all of chapters 7 and 8 are plagiarized from Isaiah, supposedly having been written on the brass plates that Nephi stole from Laban, after he cut off his head. Some scholars don’t believe that all of Isaiah was written by Isaiah and that some of it was written well after Lehi and his family supposedly left Jerusalem. 2 Nephi 9:9 says that the devil transforms himself into an angel of light, but the Bible teaches that the devil was an angel of light until he rebelled against God, though it would not be too difficult for him to make people, including a young Joseph Smith, believe that he was an angel of light still, perhaps by the name of Moroni. There is a reason why the Bible warns us not to believe a different gospel than the Bible, even if an angel preaches it to us. 2 Nephi 9:23 says, “And he commandeth all men that they must repent, and be baptized in his name, having perfect faith in the Holy One of Israel, or they cannot be saved in the kingdom of God.” Yes we must have faith, but our faith need not be perfect, and in fact, Jesus said in the Bible that faith the size of a mustard seed is enough. Who are we to believe, Jesus or The Book of Mormon? After several verses of telling us who will be thrust down into the hell for doing offenses that modern LDS doctrine does not think will actually warrant hell, or outer darkness as they call it, verse 38 tells us that those who die in their sins will remain in their sins, “And, in fine, wo unto all those who die in their sins; for they shall return to God, and behold his face, and remain in their sins,” (2 Nephi 9:38). Well, so much for baptism and other posthumous ordinances. According to this and other verses in The Book of Mormon we only have this life to become right with God and after that there is no chance at salvation. Chapter 10 makes an error that anyone who is even marginally familiar with the Bible should never make, and that is to say that Christ should be the name of the messiah. “Wherefore, as I said unto you, it must needs be expedient that Christ—for in the last night the angel spake unto me that this should be his name—should come among the Jews, among those who are the more wicked part of the world; and they shall crucify him—for thus it behooveth our God, and there is none other nation on earth that would crucify their God,” (2 Nephi 10:3). Christ is a title, just like Messiah, and Christ is Greek, so why would an angel give a Hebrew speaking people the Greek name for Jesus’ title and say that it would be his name? That would be like me referring to President Trump and instead of saying that Donald and/or Trump is his name, saying that president is his name. President is the title of the office, not the name of the person holding that office, and Christ is the title, not the name of the man who was and is God that holds that position. Verse sixteen basically says that any church that is against the LDS Church is the whore of all the earth, which is also what other parts of The Book of Mormon explicitly say. Despite what their public relations people say, the LDS Church holds an extremely unfavorable view of all other churches. Verse twenty four says something interesting that, while Biblical, is against current LDS doctrines, and the relevant part of the verse says, “it is only in and through the grace of God that ye are saved,” (2 Nephi 10:24). We are saved through grace and grace alone, but current LDS doctrine teaches that grace is not enough and that we have to earn grace through our works, which means that it is a just reward and not grace at all. 2 Nephi 25:20 says, “behold I say unto you, that as these things are true, and as the Lord God liveth, there is none other name given under heaven save it be this Jesus Christ, of which I have spoken, whereby man can be saved,” so that leaves no room for Joseph Smith to be our savior or our judge, but LDS doctrine teaches that we will have to go through Joseph Smith and be judged by him in order to enter heaven. The Book of Mormon seams to be ambivalent about the issue of grace as many places it says that we are saved by grace alone, and then it throws in this gem, which is a verse that is stressed to every LDS person in order to get him or her to follow all of the rules. “For we labor diligently to write, to persuade our children, and also our brethren, to believe in Christ, and to be reconciled to God; for we know that it is by grace that we are saved, after all we can do,” (2 Nephi 25:23). If we are saved by graced after all we can do than we are saved by all we can do and not by grace at all. Verse 25 claims that the law of Moses was fulfilled over five hundred years before Jesus was even born, “For, for this end was the law given; wherefore the law hath become dead unto us, and we are made alive in Christ because of our faith; yet we keep the law because of the commandments.” There is no Biblical justification for the law of Moses being fulfilled before Jesus lived and died, and in fact, the exact opposite is true. 2 Nephi 25:27 says, “Wherefore, we speak concerning the law that our children may know the deadness of the law; and they, by knowing the deadness of the law, may look forward unto that life which is in Christ, and know for what end the law was given. And after the law is fulfilled in Christ, that they need not harden their hearts against him when the law ought to be done away,” but in in this time period, 559-545 BC, none of the descendants of Abraham would speak of the law in this manner. The Book of Mormon wants us to think that these people were so special that they were given privileged information that not event the Biblical prophets were given, and that is simply not true. The Book of Mormon is a book written in the 1800s with information that was not available in the time it claims to be from and uses that information to make it look as if it were inspired and fulfilling prophecy. 2 Nephi 26:12 was written before Smith came up with his blasphemous doctrine that Jesus was not always God and was created. “And as I spake concerning the convincing of the Jews, that Jesus is the very Christ, it must needs be that the Gentiles be convinced also that Jesus is the Christ, the Eternal God.” Anything that is eternal not only has no end but had no beginning, and since Jesus is the eternal God he had no beginning and was always God, not some created being. 2 Nephi 26:1 and 16-17 are setups so that Jospeh Smith can say that the way he found and translated the golden plates is divine and was the fulfillment of prophecy. Of course, when you write about something while you are doing it but claim to be translating an ancient manuscript you can make and fulfill any prophecy you want. The LDS plan of salvation, which looks nothing like what is described in The Book of Mormon. The Book of Mormon in 2 Nephi 26:27 says that salvation is given as a free gift, “Hath he commanded any that they should not partake of his salvation? 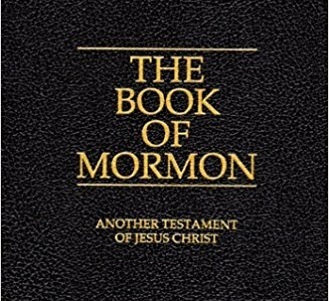 Behold I say unto you, Nay; but he hath given it free for all men; and he hath commanded his people that they should persuade all men to repentance.” Since the writing of The Book of Mormon the LDS Church has changed what it means by salvation, and salvation no longer means to go to heaven and be with God but just to be resurrected and given some sort of glory in one of the three degrees of heaven, but to be in the top heaven, the one where God lives, you have to earn it. That, of course, is not what was meant by salvation when The Book of Mormon was written and the idea of more than one heaven is not present in the book. 2 Nephi 26:29-31 talks of priestcraft, which is to be paid for preaching or offering religious services, and it says that they should all labor for their own support and should not be supported by the people. The LDS Church stresses that they have no paid ministry because of this, but that is not true. Yes, the multitudes of bishops and stake presidents and other ward and stake leaders are unpaid, but some of the area authorities, all mission presidents, the quorum of the seventy, the quorum of the twelve, the first presidency and others at the top are paid and make their entire living off of what is given to the church by its members. When Joseph Smith said that he was to be supported by the church Oliver Cowdery and the Whitmers accused him of priestcraft and almost left the church over it, but somehow Joseph convinced them that the commandment did not apply to him as what he was doing was not to be considered priestcraft. Most of chapter twenty seven is just supposed prophecy about Smith and the coming of The Book of Mormon so that Smith could claim that he fulfilled it when he published the book. A book with no external proof that validates itself and its author is not that impressive. I firmly believe the main reason most LDS people are so opposed to mainstream Christianity is that it has been misrepresented to them by the Church and they have no idea what it is about or what they actually believe. The 28th chapter of 2 Nephi (verses 3-20) teaches a false narrative of what Christian churches are like and with each claim it makes I will explain why that is not the case or why there is confusion about it. 2 Nephi says that all churches claim they are the true church, to the exclusion of all other churches, and that they contend with one another, but the truth is most Christian churches feel that most other Christian churches are true and bring people to salvation. There are a lot of differences within Christianity, but those differences are not disagreements about what it takes to be saved they are about things where the Bible has a grey area on matters that are not essential for salvation. Christian churches disagree on topics such as whether or not it is a sin to smoke, whether or not dancing is ok, whether the Lord's supper should be every week or once a month, etc. As far as contending with one another, most Christian churches are more than happy to help out other Christian Churches, and the Baptist church that I attend, Wellspring Church, even gives money to other Christian Churches when there is a need, mostly to those who are not the same denomination. The big criteria on whether or not they help another church is whether or not that church is in line with the Bible. We as Christians don't view other Christian churches as enemies but as friends since we serve the same God and have the same goal; bringing salvation to every person on earth, even to those who falsely think they can save themselves by their works such as the Mormons. I can think of a few churches right off the top of my head that claim they are the only true church, and only one of them, the Catholic Church, is Christian. The other churches that claim they are the only true churches are the Jehovah's Wittiness, Scientology, and of course, The Church of Jesus Christ of Latter-Day Saints, aka the Mormons, who teach it as official doctrine that they are the only true church and others are the church of the devil. 2 Nephi also claims that Christian churches deny the power of the Holy Ghost and say that God has done his work and there are no more miracles. Anyone who has ever attended a Christian church of any denomination would know full well that they believe in the Holy Ghost and miracles and teach both, some to a much greater extent than the LDS Church does. One such example is the Pentecostals who believe in the speaking in tongues. The LDS Church, by the way, claims to believe in the speaking of tongues though they don't practice it. the last words Jesus spoken on the cross. The battle for the salvation of man was won on the cross and nothing can add to the work of the cross. The claim that Christian churches believe that God has done his work and that there is no need for new scriptures other than the Bible is true and is strongly supported by the Bible. God still works among humans, but the work of salvation was completed on the cross and everything we need to know to be saved and to serve God can be found in the Bible and anything that claims to be additional revelation is either mistaken or is an outright lie and deception. Anyone who denies the power of the Bible is not Christian. Nothing can be added to the work of the cross. Another huge misconception among LDS people about Christianity, taught both by The Book of Mormon and the Church, is that Christianity teaches that we can live a life of sin and still be saved just by confessing our belief and asking to be saved before death when we don't even love God. Nothing can be farther from the truth. Christianity does not take a favorable stance on sin and strongly condemns sin and does all it can to discourage people from sinning. For an example of what Christianity and the Bible teaches on the subject of sin refer to the last episode of my podcast and blog which was on the subject of why we can't live a life of sin and expect to be saved. Yes, Christianity believes in death bed repentance and salvation, but in order for it to work it must be sincere. If a person lived their entire life in open rebellion against God and in the last few minutes of their life they confess and ask for forgiveness but don't love God or care about what he did for them above just not going to hell than they will not be saved, end of story. I have never known an LDS person who understands what Christianity teaches on this or any other matter, or at least one who is honest about what they teach. Christianity, especially among the evangelicals, the subject of hell is prevalent and there are many hell fire and damnation sermons preached to the goal of dissuading people from sinning. The idea that we can live a life of sin and expect to be "beat with a few stripes and be saved" as the LDS Church teaches that we believe is completely foreign to Christianity and is completely against the doctrine and beliefs. In another place in 2 Nephi chapter 28 it says that the churches rob the poor to build their fine sanctuaries, but when LDS people use this to condemn other churches they conveniently neglect to think about or mention the LDS stake centers and the temples, especially the temples. If you have ever seen an LDS temple, especially if you have been inside of one, you know that no expense was spared. The LDS Church teaches that in order to be in right standing with God you have to give 10% of your income to the church, whether you can afford it or not. Most Christian churches follow the Bible and and ask for a free will offering, not of compulsion, which is taught in 2 Corinthians 9:7 "Each of you should give what you have decided in your heart to give, not reluctantly or under compulsion, for God loves a cheerful giver," (NIV). 2 Nephi chapter 28 also says that the churches will pervert the way of God and teach false doctrines as the commandments of God. Let's examine this claim, the Christian churches teach the Bible, the word of God, as doctrine while the LDS Church teaches a plethora of doctrines that are found nowhere the Bible and are in stark opposition to what the Bible teaches such as the doctrine that the almighty God was once a man who earned his god status by following the commandments of another god. It is the LDS Church that is teaching the false doctrines of men as the commandments of God and perverting the way of God. In several places in The Book of Mormon, including 2 Nephi 28, it teaches that other churches are "the great and abominable church" and that they belong to the kingdom of the devil and rage against that which is good, and the LDS people wonder why Christians are so opposed to their church. The LDS Church teaches the blasphemous and damning doctrines of the devil while claiming that true Christianity is of the devil. The LDS Church calling Christianity the church of the devil is not like the pot calling the kettle black, it is more like the pile of coal calling the snow black. 2 Nephi 28:21 says, "And others will he [meaning the devil] pacify, and lull them away into carnal security, that they will say: All is well in Zion; yea, Zion prospereth, all is well—and thus the devil cheateth their souls, and leadeth them away carefully down to hell." The LDS Church is fulfilling their own prophecy by carefully leading its own members down to hell. 2 Nephi 28:15 says, "Wo unto those who teach false doctrines," and you would be hard pressed to find a church that teaches more false doctrines than the LDS Church does. 2 Nephi 28:31 says that those who put their trust in man will be cursed, and that would include Joseph Smith and every false prophet that has followed in his shady footsteps. That verse is correct when it says we should put our trust in the word of God and not in the teachings of man, but the word of God is only found in its complete and unadulterated form in the Holy Bible. 2 Nephi 29 spends the first fourteen verses making a case for why we need a book other than the Bible, and the only way for this to be believable is to in some way denigrate or downplay the Bible and reduce its importance, which is what the LDS Church does at every opportunity, all the while claiming to be Christian. The Bible is clear that, while it doesn't contain every word ever spoken by Jesus, it contains all information necessary for salvation and there no need for any other holy books, especially ones that contradict or denigrate the Bible. 2 Nephi 30 talks about the gospel of Jesus being restored, but there was no need to restore it as it was never lost, and Jesus himself promised that it would never be lost as we read in Matthew16:13-20. In 2 Nephi 30:6 it says, "And then shall they [meaning the American Indians] rejoice; for they shall know that it is a blessing unto them from the hand of God; and their scales of darkness shall begin to fall from their eyes; and many generations shall not pass away among them, save they shall be a pure and a delightsome people." However, in the original Book of Mormon, the one that Joseph Smith proclaimed to be the most correct book on earth, said "and many generations shall not pass away among them, save they shall be a white and delightsome people." I know that is what the original says because I have a reprint of the original 1830 edition. Not only is this passage incredibly racist, but no one's skin has ever gotten lighter after joining the LDS Church. 2 Nephi 31:5 says that Jesus needed to be baptized, but that is not even slightly true; Jesus did not get baptized because he needed it but as an example for us to follow. Baptism is symbolic of the death and resurrection of Jesus and when we are baptized we are showing that we are willing to bury our old life and live a new life in Christ. 2 Nephi 31:13-14 says, "Wherefore, my beloved brethren, I know that if ye shall follow the Son, with full purpose of heart, acting no hypocrisy and no deception before God, but with real intent, repenting of your sins, witnessing unto the Father that ye are willing to take upon you the name of Christ, by baptism—yea, by following your Lord and your Savior down into the water, according to his word, behold, then shall ye receive the Holy Ghost; yea, then cometh the baptism of fire and of the Holy Ghost; and then can ye speak with the tongue of angels, and shout praises unto the Holy One of Israel. Those verses, supposedly written to people in approximately 559-545 BC, say that after baptism they will have the Holy Ghost come upon them and they will speak in tongues, but the problem with this, and it is a huge problem, is that the Holy Ghost was not available as a helper and the baptism with fire did not occur until after the death and resurrection of Jesus. The speaking in tongues did not occur until the Pentecost in approximately 33 AD. There is no reason to believe that a group of people in America would be given special privileges that were not afforded to those in the holy land, not even to those who followed Jesus as his apostles. 2 Nephi 31:16 says, "And now, my beloved brethren, I know by this that unless a man shall endure to the end, in following the example of the Son of the living God, he cannot be saved." Of course one could not at the end of his or her life give up and decide not to follow Jesus anymore and be lost, but in the equation of grace, following all of the rules does not factor in. What Jesus accomplished on the cross afforded forgiveness for every sin ever committed in the history of the earth, even those that have yet to be committed, and making a mistake at the end of a person's life does not mean that he or she will not be saved. The LDS Church teaches that it is all based on works and that even if you were the president of the church and followed all the rules your entire life and broke a rule just before you died your exaltation would be in danger. What a needlessly stressful way to live a life! The book of Mormon is wishy washy on the subject of grace, in one place saying we are saved by grace alone and in another saying we are saved by works. In 2 Nephi 31:17 it says, "And now, my beloved brethren, after ye have gotten into this strait and narrow path, I would ask if all is done? Behold, I say unto you, Nay; for ye have not come thus far save it were by the word of Christ with unshaken faith in him, relying wholly upon the merits of him who is mighty to save." If we are relying wholly in the merits of him who is mighty to save than we are not worried about whether or not we have done enough good works. The math works this way, everything minus the grace of Jesus equals nothing. Nothing plus the grace of Jesus equals everything. Jesus grants salvation and our meager works cannot add or detract from what Jesus already did. LDS people like to say grace is like a ladder that is extended to us and we still have to climb it, but that is not how grace works. Grace is like the National Guard or Coast Guard saving us from the middle of a raging storm without asking or expecting us to do anything in the saving process other than allowing them to save us. The last verse in this chapter, 2 Nephi 31:21 says, "And now, behold, my beloved brethren, this is the way; and there is none other way nor name given under heaven whereby man can be saved in the kingdom of God. And now, behold, this is the doctrine of Christ, and the only and true doctrine of the Father, and of the Son, and of the Holy Ghost, which is one God, without end. Amen." There is a lot to discuss in that last verse, starting with Jesus being the only way and name by which we can be saved, which is 100% true, and this verse alone should cause latter day saints to leave the Church when they discover that it is official doctrine that they can't be saved without the express consent of Joseph Smith. I won't go into listing the reference for that doctrine here, but it is easy to find and I discussed it in detail, with references, in a previous podcast about why the LDS Church is not Christian. The last half of that last verse supports the Holy Trinity instead of the polytheistic view espoused by the LDS Church. The verse says, "And now, behold, this is the doctrine of Christ, and the only and true doctrine of the Father, and of the Son, and of the Holy Ghost, which is one God, without end. Amen." It does not say that it is one godhood with three gods, it says that the three are one God without end. It doesn't get much clearer than that. It is obvious in reading The Book of Mormon and comparing it to later writing and teachings by Joseph Smith that originally his views on religion were similar to Christianity but as his life progressed his views became more extreme and grew ever more distant from the truth of the Bible. 2 Nephi 32:5 says, "For behold, again I say unto you that if ye will enter in by the way, and receive the Holy Ghost, it will show unto you all things what ye should do." We are not to determine how we are to live life by feelings, and the Holy Ghost will not show us all things we should do, but if we read the Bible than we have a clear guide on how God wants us to live our live and how to make decisions based on the will of God. 2 Nephi 33:5 makes the claim that if a person does not believe the Book of Mormon, despite the fact that it doesn't always agree with the Bible, that he or she has the spirit of the devil. 2 Nephi 33:11 says, " And if they are not the words of Christ, judge ye," and I have judged the words of The Book of Mormon using the Bible as a standard, and I have judged them to not be the words of Christ. In the words of Daniel 5:27 I say, "[It has] been weighed on the scales and found wanting." Sure, some of the words of The Book of Mormon are Biblical, but that is only because they were copied directly from the Bible. The Book of Mormon is not "another work of scripture comparable to the Bible," it is a fraud that has a few truths as the accidental result of an intentional plagiarism. I don't have the time to go into more on The Book of Mormon, but next time I will examine the Book of Jacob and see how far I can get while still keeping the episode to a manageable length. Some of the books in The Book of Mormon are so long that when I get to them I will have to dedicate several episodes to them. The Bible is the word of God and if you want to see if some claim about God is true see how it compares to the Bible. Nothing about God or salvation that contradicts or disagrees with the Bible is true. God is not a God of confusion and wanted it to be easy for us to know his will for us and how to be saved, and that is why he gave us the Bible, which is pretty straight forward, instead of the convoluted mess of blasphemy and lies that is the LDS doctrine. [It has] been weighed on the scales and found wanting. The Bible, not The Book of Mormon, is the most correct book, and the only book that will lead us to God and the salvation that only he offers, not as a purchase but as a free gift. God doesn't make us jump through hoops and he doesn't require secret rituals or special clothing to be saved. The Bible lays it out clearly what we need to do to be saved, and that is to love God and accept and admit that we are sinners and that what Jesus accomplished on the cross paid the price for us, we just need to accept it. You are loved. My prayer is that if you are LDS that you look critically at the claims of the Church and compare them to the ultimate standard of God's truth which is the Bible, that if you are considering joining the LDS Church that you will join true Christianity instead, and that if you have family or friends within the LDS Church that this may help you to rescue them and save their souls.